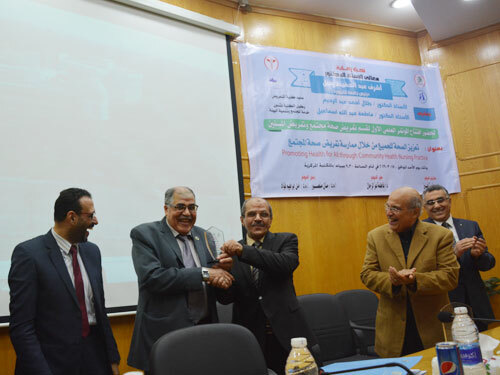 Prof. Ashraf Abd El-Hafeez, Acting President of Fayoum University, accompanied by Prof. Mohamed Essa, Vice President for Postgraduate Studies and Research Affairs, and Prof. Khaled Atallah, Vice President for Education and Students Affairs, attended the opening session of the first scientific conference which was organized by Community Health Nursing Department at Faculty of Nursing. The conference is entitled: "Promote Health of the Population through Practicing Community Health Nursing "on Sunday, 17/3/2019, at the Conference Hall, Central Library. 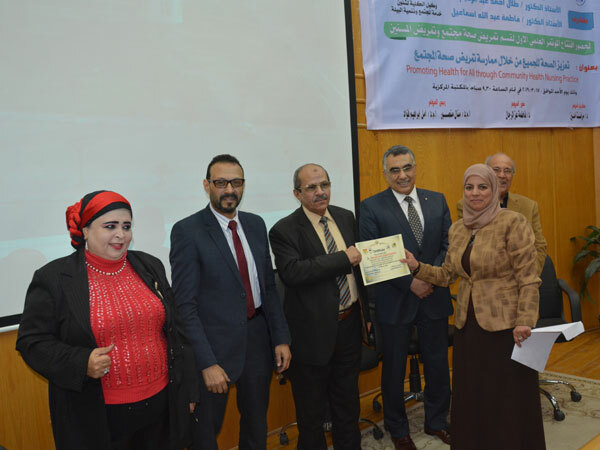 The opening was attended also by Prof. Talal Ahmed Abd Al-Rahim, Dean of the Faculty, Dr. Ashraf Wajdan, Former Dean of the Faculty, Dr. Salah Abo-Taleb, Director of Fayoum Oncology Center, a number of deans, vice deans, faculty members, assistants, administrators and students. 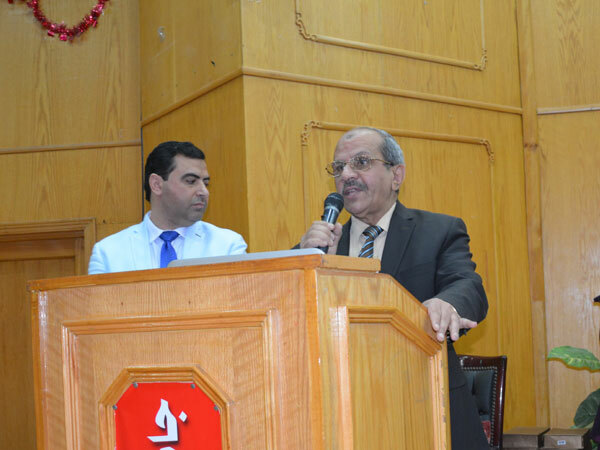 Prof. Ashraf Abd El-Hafeez stressed that Fayoum University is exerting all efforts to provide all forms of support for progress and development of Faculty of Nursing, praising the success of the community health nursing department in organizing the first scientific conference on how to promote health for all through the practice of community health nursing. Moreover, he added that the new building of the college is equipped with the highest level of equipment and constructions and will be completed very soon. 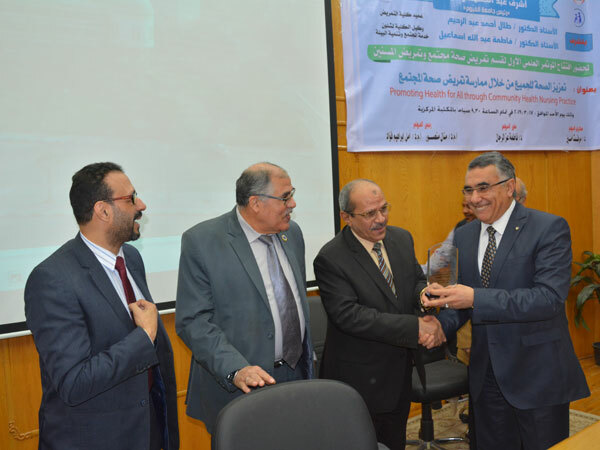 He assured that Fayoum University's success is not based on individual effort, but on teamwork and together. On the other hand, Prof. Mohamed Essa explained that the nursing profession is one of the most important professions that are based on community service and health care, and hopes that the conference will make several recommendations to improve the level of nursing service provided to the members of our society. 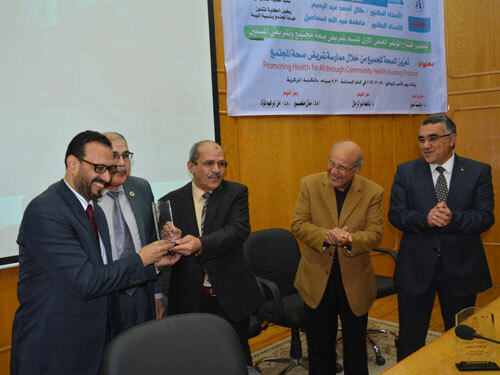 While Prof. Talal Abd Al-Rahim extended his thanks to each of Prof. Ashraf Abd El-Hafeez, Acting President of Fayoum University, Prof. Mohamed Essa, Vice President for Postgraduate Studies and Research Affairs, Prof. Khaled Atallah, Vice President for Education and Students Affairs, the members of the faculty and the students. 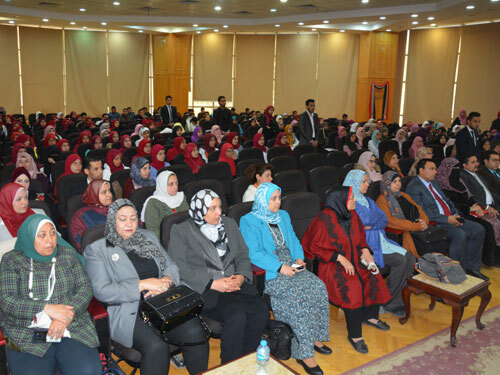 He expressed his hope that the Faculty of Nursing will be one of the best faculties at Fayoum University. At the end of the opening session, many faculty members and hospital representatives were honored.